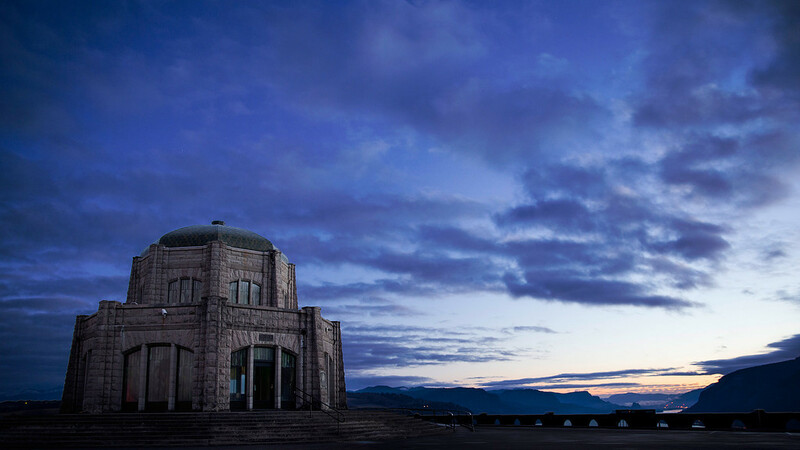 Structures are not what one normally associates with the Columbia River Gorge but Vista House is the notable exception. It stands against the winds and the rain overlooking the river and witnessing the most spectacular sunrises day after day. I never get tired of visiting this beautiful but lonely building.